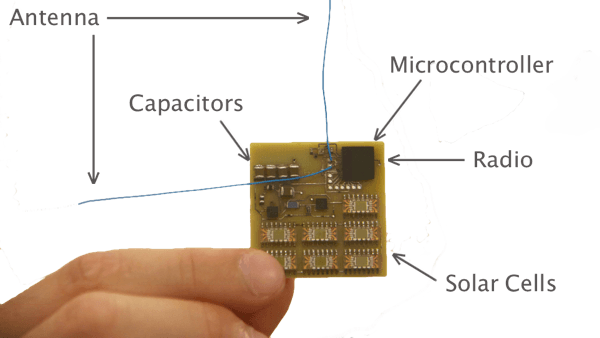 Recently a bunch of amateur radio nano-satellites known as ‘Kicksats‘ were launched on the latest SpaceX rocket. So far the Kicksat carrier has been successfully deployed, which is essentially the box containing the nano-satellites. On May 4, the nano-satellites known as ‘sprites’ are due to be deployed from the carrier. Both the carrier and Kicksat sprites have telemetry signals which are receivable with the RTL-SDR. As the sprites transmit using only 10mW of power, a high gain Yagi antenna and an LNA are required to receive their signals. Over on his blog, Dolske has been trying to receive and record the Kicksat carrier using his RTL-SDR. He was able to capture a telemetry packet at 437.505 MHz using SDR#. He then tried to use QTMM AFSK1200 to decode the packet, but has been unsuccessful so far probably due to the weak signal he received.